THE TELEVISION PLAY (1956) VS.
Having seen both the television play and the theatrical film version of Requiem for a Heavyweight, it seems to me that despite appearances, they are almost different films. I put a lot of this dichotomy at the feet of Rod Serling. 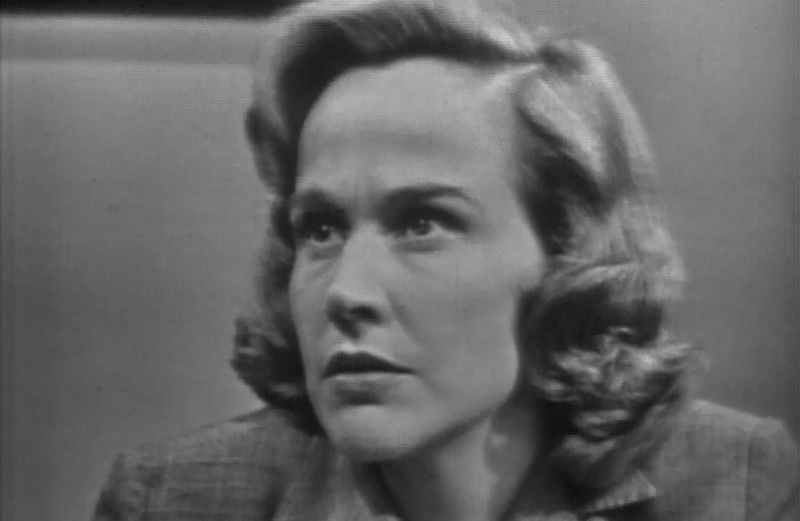 My sense is that Serling might have felt pressure in the Playhouse 90 version to give viewers a sense of hope. Once he got to work on the film version, he let his darker impulses and tendencies take over. He was free to indulge in darkness and give the ending he would have wanted: a sad, dour, unhappy one. Serling could expand on the story, free from the confines of limited technology and peppy commercials. He could be a 'real' artiste. Pity that in this case, Serling appeared to have misread the public, who didn't share in his morose view of the world. The television version of Requiem for a Heavyweight was highly praised, even winning a few Emmy Awards including one for Serling. The film version, however, failed at the box office. Even more interesting is that in this case, the remake not only had the same writer from the original, but the same director: Ralph Nelson. You had the same people make the same story, but what I found that they were not the same. It wasn't just that one took a far different turn than the other. It was that by expanding the story, Serling and Nelson could bring in more, but what they brought left me highly dissatisfied. I did feel that at a certain point, I was watching them do a bait-and-switch. 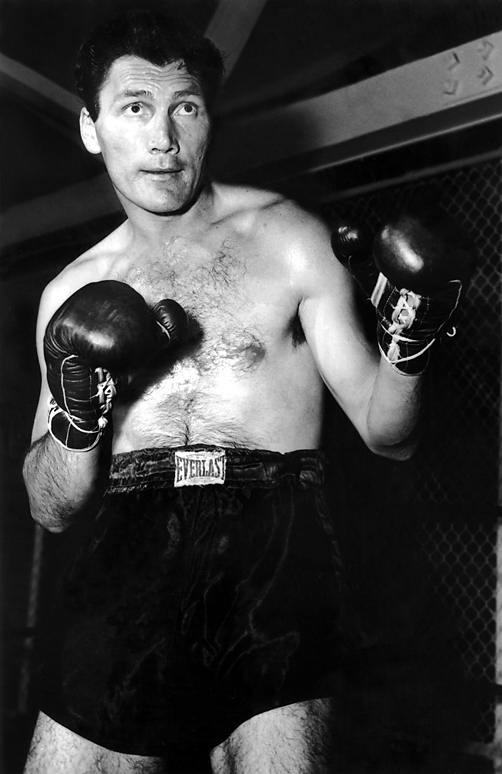 Jack Palance won an Emmy Award for his portrayal of the washed-up boxer looking for redemption and a new life. Quinn did not get any Academy Award notice. Granted, awards are not the only or exclusive measure of the success or failure of something, but in this case, I'm going with Jack over Tony. There are some good reasons for that. First, while Mountain was supposed to be poorly educated, Palance was at least intelligible. Sometimes I simply could not make out what Quinn was saying. I know both of them had an affected voice to make the simpleness of Mountain, but I could never shake the idea that Quinn was being very 'actory', giving a performance. Palance, for me, was Mountain. Quinn was playing Mountain. What nailed it for me was when each had the scene at the employment office and both declared that they were 'almost the heavyweight champion of the world'. When Palance said that, it was a declaration, a desperate effort to show that he was a somebody. When Quinn said that, it was as if in resignation, not so much stating a fact as he was almost tossing it off. 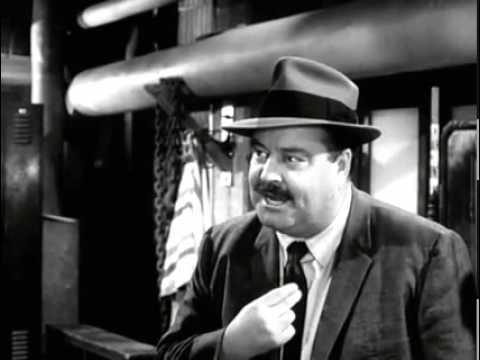 There were many naysayers when it came to broad vaudevillian Wynn playing a straight dramatic role, including his own son and costar, Keenan. 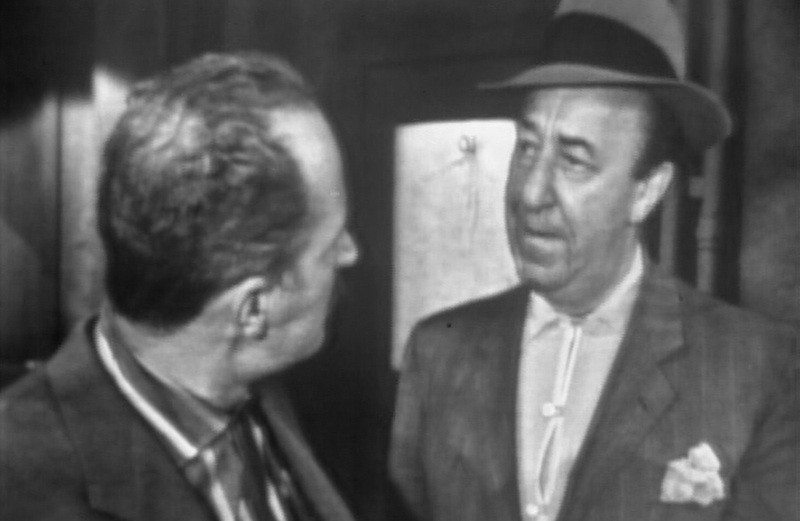 Ed Wynn himself was highly nervous about his very first role that did not require him to play things for laughs. However, Wynn absolutely astounds as the moral conscious of Requiem for a Heavyweight. It's an absolutely pitch-perfect performance, and anyone who didn't know of Wynn's past as a comedian would never have guessed this was the same man who would play the giggling Uncle Albert in Mary Poppins. It's no surprise he earned an Oscar nomination for The Diary of Anne Frank, as removed from yucks and slapstick as possible. Rooney, on the other hand, simply had nothing to do in the film version. He might just as well not even have been in the movie. Keenan Wynn was quite good in Requiem for a Heavyweight, but he was not The Great One. I think that Gleason did a better job of making Maish the sleazy, corrupt manager who still had pangs of guilt over what he had done to someone who genuinely loved him. This is the rare time when expanding the story worked in its favor. Gleason had a scene with the character of Grace that showed that maybe, just maybe, he really did think Mountain was not fit to be a camp counselor. I still think he was lying to himself and that he did not have Mountain's best interest at heart, but Gleason's performance leaves room for doubt. To be fair, Wynn did not have this scene, and his performance was quite strong. However, I still think Gleason's performance was better. As a side note, I have always wondered if "Maish" is a play on "Mensch", the Yiddish term for 'a man of integrity'. Was Serling being ironic? You're rather spoiled for choice, aren't you? Both Hunter and Harris are fantastic actresses and either one would be worth watching. It's by the thinnest of margins, the absolute thinnest of margins, that I give it to Hunter over Harris. Believe me, this is not an easy choice. Either one would be great because both of them gave standout performances. I think, in the end though, I lean towards Hunter only because she wasn't as googly-eyed to Mountain as Harris was directed to. Yes, both fell in love with Mountain, but Hunter was also a genuine friend and not just the romantic interest. Again, by the thinnest of margins. In a strange case of the same director for both versions, I think Nelson's directing of the television special outdid his work on the theatrical version. The constraints of television in budget and time forced everyone to be more inventive, and minus a punch that was unconvincing, the television version of Requiem for a Heavyweight moved me tremendously. The film version had some fantastic moments, in particular the opening scene from the P.O.V. of Mountain as he's punched out. After that, though, the film version at times slipped into some strange moments (the main mobster turning out to be a woman in drag, a lot of boozing). Moreover, Nelson could not get anything out of Rooney, let Quinn be a bit more dramatic than he perhaps should have been, and seemed to take the focus from Mountain to Maish (Requiem for a Manager?). The television version and the film version diverge after Mountain meets Grace. First, we get into a long digression into Maish's plans to stop Mountain from having his business meeting, something that did not happen in the television version. Maish and Grace never meet, let alone allow Maish to make a somewhat convincing case for his reasons to keep Mountain as a virtual slave. The most obvious divergence is in the ending. The television play has Mountain leaving for his Tennessee home, where he starts informally training a little boy while the mobsters get Maish and Army to take another young, hungry fighter under their wing. The film version has Mountain staying with Maish, where instead of Mountain rejecting Maish's insistence to be a wrestler and in a sense, take a dive, he willingly humiliates himself by donning Indian garb to the mockery of the wrestling audience. In short, the television version gave the audience if not a straightforward happy ending, at least hope. The film version drowns in despair and misery. That, I figure, was Serling, a man who saw the world through a glass darkly. Now that he could do a film version of Requiem for a Heavyweight, Serling could indulge his cynicism and morose worldview without having to tailor it to the demands of television audiences. He could tell THE TRUTH. Sadly, I think Serling failed to see that what people respond to is hope, not despair. Moreover, by having Mountain stay and degrade himself to save Maish, he did something radically different with the character. In the television version, Mountain leaves of his own free will. He is true to himself. He is the victor, and he now has a chance to start again. In the film version, Mountain stays, thus becoming subservient. He is defeated, even if we are essentially told that Mountain did it for good reasons. Serling changed the motivation for Mountain, from staying true to his values (he never took a dive) to surrendering them out a sense of loyalty (he took a dive). Mountain, therefore, no longer has free will. He may have wanted to do good, but the television version gives Mountain the exact same choice, and he took the one that led to finding himself, not being the inferior to Maish. The television version even gave Maish a chance at redemption when the new young fighter comes along (Maish, despite himself, was a good manager). The film version introduces a new young, hungry fighter, but Maish has the luxury of throwing him to the side. Mountain is going to be a dance-monkey for Maish. I think this is where Serling let his darker impulses get in the way. The unhappy ending in the film version is how he would have liked it, and how he thought the world was. The hopeful ending in the television version may not be how the world is, but how the world should be. Sometimes, Rod, we need happy endings.